(CNS): Updated Saturday 10:30am. Police have confirmed that skeletal remains of a male have been found on recently cleared land in the area of Bobby Thompson Way, George Town. A call was made to the police on Friday afternoon, 29 January, at around 3:40 when the bones were found in a wooded area by anindividual who was working on the land, which has been substantially overgrown for several years. A police spokesperson said that initial investigations suggest that the decomposed remains have been there for a number of years and the RCIPS has now launched an enquiry. Police said it was still to early to draw any conclusions over the man’s death but they are now reviewing historic missing person files to try and ascertain the identity of the deceased. Police wereunable to confirm how the bones will be dated and by whom. (CNS): The Economics and Statistics Office (ESO) will be focusing on the forthcoming national census over the next few days as it marks the second annual statistics week from 31 January to 6 February 2010. Government officials said that the Cayman Islands 2010 census is tentatively scheduled to start in October of this year and the statistics week offers an opportunity to campaign to raise community’s awareness of the national count before the official launch which is scheduled for March. There has been a reluctance in the past by residents to divulge information despite the anonymity but without it the ESO cannot produce accurate or meaningful statistics, a criticism that is often made by business and in particular the media. The ESO said that this week key activities during the Week include presentations of “The Census and You” to over 300 students in Grades 9 – 12 in Grand Cayman and Cayman Brac, and target students of the University College of the Cayman Islands. The objective of these presentations is to sensitize students on the Census, the process and how the data collected can be used for analytical purposes. The Statistics Week was launched last year to foster greater understanding of how statistics are produced, and to promote their wider use in the local community, particularly among students. The last national census was conducted in 1999 and at that time Cayman had a resident population of less than 40,000, which was still a 55% increase on the ’89 census. According to the most recent compendium of statistics at the end of 2008 there were just over 57,000 living in Cayman. In 1999 the percentage of the population which was Caymanian had fallen to an all time low of 53% compared to 67% in 1989. Following the status grants in 2003 the percentage of Caymans increased and reached 61% since then however it has declined again and estimates for 2003 suggest 56% of the population is now Caymanain. Aside from counting heads the national census will also measure how old people are and where they live, what hey do for a living, their earnings and levels of education as well as issues such as their marital status, which health insurance provider they have and where they go to church. (CNS): At-risk adolescents attending an afterschool programme aimed at students from George Town primary school who have academic and social challenges have been given a gateway to the worldwide web with the donation by LIME of high speed internet. Students in the Positive Intervention Now (PIN) programme receive help, guidance and positive reinforcement to help them gain the skills, knowledge and motivation they need to fulfil their potential, a release from the local telecommunications company explained. The programme is run three afternoons a week at St. George’s Anglican Church hall by volunteers from the church and from within the community. They help in areas ranging from academics to the arts, to etiquette, character/spiritual development and civics. There are currently around 14 children attending the programme. Why is piracy legal in Cayman? After years of grumbling about the sacrilegious horror of grown men cross dressing as flamboyant 18th century pirates in the streets of Grand Cayman every October, the government finally threw a bone to the fundamentalist Christian community. Premier McKeeva Bush promised last year that Pirates Week will walk the plank. The annual festival will be banished forever, so no more need to worry about Caymanian children being inspired raise the Jolly Roger and attack merchant ships. Bush explained that Pirates Week had to go because piracy has nothing to do with our culture. Piracy has nothing to do with our culture? Oh really? This must have drawn giggles from the genuine pirates of Grand Cayman. They may not wear phony beards and wave plastic swords, but these guys engage in real piracy, nonetheless. And they do it with the legal sanction of our government. Grand Cayman has several shops that rent pirated DVDs by the hundreds. Some have been in business for decades, while others have only just recently opened for business. The brazen way these shops go about their trade is astonishing. One does not have to enter a secret backroom or utter a password to make the shady transaction. It all goes down at the front counter as if nothing could be more legal than renting a movie that just hit theaters last week, or in some cases hasn’t even arrived at theaters yet. As crimes go, this is hardly a top priority for our police, of course. No one expects them to drop a murder investigation so they can rush to bust grandma for renting some pirated Tyler Perry flick. The key question here is how these store owners are able to obtain and maintain business licenses from our government for the purpose of selling stolen goods. The civil servants who have the responsibility of handing out these licenses cannot be oblivious to what is going on. It’s not like these pirate shops make any attempt to hide what they are doing. It’s as plain to see as the posters in their windows! For example, while the movie “Sherlock Holmes” was showing at Grand Cayman’s theater, it was also available for rent in at least one Grand Cayman shop. For those who may not know, studios do not release DVDs films at the same time or before their movies are in theaters. There is usually at least a six-month to one-year lag time. So any film that currently is in theaters is not available for sale or rent in any legal sense. Well, except in the Cayman Islands, perhaps. Cayman is not unique when it comes to the business of bootleg DVDs. Movie piracy is huge around the world. What makes the Cayman Islands unusual compared to places like New York, London, and Paris is that in those places one at least has to do the dirty deed with some transient petty crook in a subway station or park. The ripoff DVDs are laid out on fold-up table or on a blanket. This is so the pirate can make a fast getaway if a cop comes strolling his way. It’s also necessary because governments in those countries do not give out trade and business licenses for the purpose of selling stolen products in stores. In Cayman, however, one can obtain a license, open for business in a permanent location, and then advertise their pirate trade as prominently as possible, all without fear of running afoul of the law. This is bizarre. Imagine a construction supply store in George Town that displayed posters in the window announcing to everyone that they sell stolen tools. Would they get a business license from government, no questions asked? Not likely. While I won’t lose any sleep over Hollywood’s international piracy problems, I do, however, have concerns about my government’s competence. Granting business licenses to deal in stolen property? Something is seriously wrong when Cayman’s government not only ignores a particular criminal trade in its midst but goes so far as to grant an official blessing upon it well. 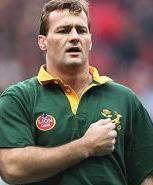 (Times online): Ruben Kruger, a World Cup-winner with South Africa in 1995, has died aged 39 after a decade-long battle with cancer. A formidable flanker who won 36 international caps, Kruger was South Africa’s player of the year in the season that the newly democratic nation won the World Cup on home soil. "Ruben Kruger was the epitome of the Springbok flanker: tough, indomitable and with an outstanding work ethic," Oregan Hoskins, president of the South African Rugby Union, said. " (CNS): Despite the fact that the Department of the Environment is working closely with the RCIPS Marine Unit to enforce the grouper fishing ban in the spawning areas around the Cayman Islands, there are still a number of people illegally catching the endangered fish. DoE Director Gina Ebanks-Petrie warned that the more illegal fishing that takes place, the greater the impact on the aggregation. Ebanks-Petrie said that, at the moment, the ban on fishing grouper in designated spawning areas remains in place until 1 January 2012. 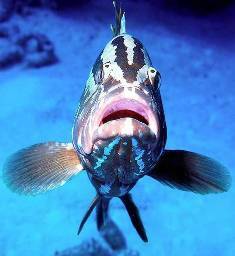 The Marine Conservation Board (MCB) recently issued a reminder that no one can catch Nassau Grouper in Spawning Areas from November through March. The areas include around Grand Cayman — Coxswain Bank of East End, Sand Cay Bank of South West Point, as well as North East and South West ends of the Twelve Mile Bank. In Little Cayman — the West End and Eastern End Banks and around Cayman Brac – The West End and the Eastern End Banks. Although the ban has been in effect since 2001, Ebanks-Petrie said people persist in fishing in those areas during spawning time, which has a very serious impact on the wider population. The DoE director explained that, by their very nature, groupers are susceptible to over fishing and therefore care has to be taken with their management. Ebanks-Petrie said that the DoE has been working very hardwith REEF (Reef Environmental Education Foundation) and NOAA regarding the study of the Nassau grouper and has collected a lot of data about the species in Little Cayman, where the grouper had been so over fished it led to the introduction of the ban in the first place. Last year the Grouper Moon Project, a collaborative conservation program between REEF and the DOE, moved on to Cayman Brac and this year the focus is on Grand Cayman. Following a generous donation of a vessel for the DoE to use for the aggregate work, Ebanks-Petrie says her team now has a considerable amount of information about the management of the fish. She emphasised that the illegal fishing must stop in order to protect the future of the fish, and she said her department was working in tandem with the police Marine Unit, which had the boats and resources necessary to patrol the areas such as Coxswain Banks, where people have been ignoring the ban. The MCB issued a warning that any person who by any means takes or receives or has in his possession any Nassau grouper from these areas is in contravention of the law. Violators may be liable on summary conviction to a penalty of CI$500,000.00 and one year in jail, with any equipment used in such contravention being subject to forfeiture by the Crown. (CNS): Although the police have not been issuing official reports on each of these crimes, several break-ins have occurred this week in and around the George Town area. An Arrest has also been made after a computer store became the victim of a group of female shop lifters last week. This week, however, two schools and a restaurant have reported break-ins on their premises. According to reports on News 27, masked young men entered the Triple C School compound by jumping the fence on Tuesday, while the Cayman Prep School was also targeted by thieves on Tuesday night/ Wednesday morning. 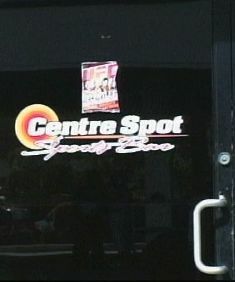 Some three thousands dollars was stolen from the Centre Spot Restaurant on Mary Street early Monday morning (25 January). The restaurant was closed at the time, and the manager said the burglars entered the premises through the roof, sometime around three in the morning. 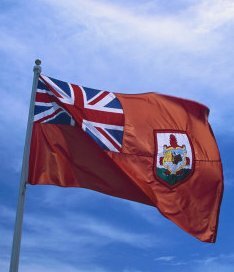 (CNS): Politicians in Bermuda are attempting to clarify statements attributed to several business people in the local press regarding talks with Bermudian government officials over work permit term limits. Home Affairs Minister David Burch has said there is no plan to change the policy and there have been no discussions. The speculation regarding possible changes was also fuelled by the announcement here in the Cayman Island that Premier MacKeeva Bush will be changing Cayman’s rollover policy and introducelegislation that will make it easier for foreign professionals to settle in the country. The story, which was reported in Bermuda’s Royal Gazette, reported that talk between business representatives and government regarding work permits were ongoing and described proposed changes to work permits in the Cayman Islands. The minister observed that Bermuda does not have the "same challenges" as the Cayman Islands, where policy is legislated. Bermuda’s opposition party has called for government to scrap term limits, and businesses in the islands have similar feelings to businesses in Cayman that term limits and rollover policies can undermine their ability to attract talent. Bermuda Democratic Alliance MP Shawn Crockwell has demanded the abolition of the six-year term limit for expatriate workers, claiming that it can scare off companies from doing business in Bermuda. "We are certainly encouraged by the fact that there has been dialogue between the business community and Government, however this isn’t the first time we have heard of this discussion, and unfortunately in the past the result has not been the abolition of the six-year term limit," he said. “It is disconcerting when you see our competitors such as Cayman coming out and saying they need to take a look at the issue. But from our perspective, there has been a lot of concern and discussion about it but nothing is taking place." In Cayman last week Bush confirmed that the UDP administration would be addressing the current seven-year rollover policy to reduce the length of the off-island gap between work terms and possibly extend the period before rollover kicks in, as well as offering key status to a number of positions associated with the financial services, enabling professionals to by-pass the immigration restrictions and seek more security of tenure. (CNS): Updated 11:30 — Police have now named the man who was found shot dead in the car park of the Progressive warehouse in Sparky Drive, industrial area,George Town last night (Thursday 28 January). 32-year-old Courtney Spence from Bodden Town, who was a production manager at Progressive Distributors, was shot dead as he finished his shift and walked towards his car in the parking lot. Police say a man emerged from the shadows, shot Spence and then ran off down Sparky Drive. Officers from the RCIPS say they are now working on establishing a motive for the killing. Less than one month into the New Year the police have launched their first murder enquiry of 2010 following the discovery of Spence, a Jamaican national’s body in his workplace car park. Police said they were unable to offer a description of the suspect at this time but a murder incident team, led by Detective Inspector Lauriston Burton, has been established at George Town police station. “This has all the appearance of a deliberate premeditated attack on Mr Spence,” Burton said. “I would appeal to anyone who has any information about the murder, or the man responsible, to contact my team at George Town police station. The scene has been cordoned off to allow extensive forensic examinations to take place. As part of the enquiry we will be speaking to friends, family, associates and workmates of the victim as we try to establish a motive for this brutal attack,” the senior officer added. 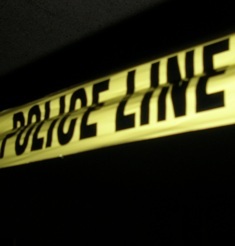 Police have not yet released official crime figures, but 2009 recorded the highest number of homicides in Cayman’s history, with seven murders and one manslaughter, though convictions have been obtained in only two of the cases. Anyone with information can call the murder incident room at George Town police station on 949 -4222 or Crime Stoppers 800-8477 (TIPS). His wife is currently being supported by a family liaison officer from RCIPS. (CNS): As a result of counterfeit cash turning up officers from the RCIPS Financial Crime Unit are reminding the public, and the business community, to be vigilant and to be on the look out for fake currency circulating in the area. Police said that over the past few weeks a small number of counterfeit Cayman Island and United States dollar notes have been handed into the police. The denominations of the notes recovered are CI$25, CI$100 and US$100. Detective Sergeant Michael Montaque of the Financial Crime Unit warned people not to let down their guard on counterfeit notes. Sgt. Montaque said if businesses have counterfeit report forms issued by the Financial Crime Unit, they should obtain as much information as possible from the person passing the note and write it on the form. The following information can assist in determining if a CI note is genuine or not. All genuine CI notes bear a watermark in the form of a turtle, which can be seen when the note is held up to the light. The watermark on the C series notes also includes the letters ‘CIMA’ above the turtle. You should be aware, however, that some counterfeit notes have the watermark so you should not rely only on this feature to determine if the bill is genuine. Each C series banknote has a metallic thread running through the note from top to bottom. The thread is imprinted with the words ‘Cayman Islands.’ In counterfeit notes the thread, if it appears, usually looks transparent or white instead of metallic, and sometimes has a grey shadow alongside it. Each CI $50 C series note has a silver foil imprint of a stingray on the edge of the note, to the right of the portrait of Her Majesty the Queen. On counterfeit notes, the imprint usually loses the silver colour and appears a flat grey. Genuine CI $100 notes carry a shimmery, silver-coloured mark (called a hologram) in the shape of a Cayman schooner. This mark changes colour when the note is tilted. On most counterfeit notes, this feature appears a flat bluish-grey. The serial number on each banknote is different. When receiving notes, you should therefore examine the serial number for any signs of tampering. You should also pay attention to the feel of the paper on which notes are printed. Genuine notes are printed on special paper that has a rough texture. Counterfeit notes have a smooth texture and will smudge when exposed to water. 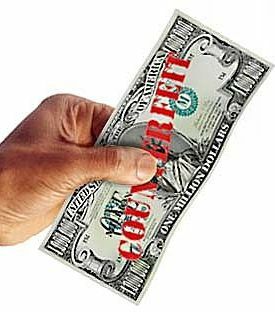 Pay attention to notes of all denominations – from one-dollar bills upwards. The possessor is the loser. The Financial Crime Unit advises the public that persons who come in possession of counterfeit notes will not be compensated. This makes it even more important for the public to be vigilant when handling currency notes. Anyone who wants further information about how identify counterfeit currency, or how to spot the real notes from the fake one’s should contact the RCIPS Financial Crime Unit on 949-8797.